The 2018 AMGEN Tour of California is in the books and was a historical race for both the organizers and riders alike. As the only World Tour event in the U.S., TOC draws top quality teams to the Golden State with an eye on the prize or getting in good racing shape while looking ahead to upcoming events like the Tour de Suisse, Dauphine Libre or even the Tour de France. The FSA marketing team embedded itself in the race, setting up on key climbs with support to the fans offering food, drink and game prizes. FSA/Vision had solid representation at the race with EF Drapac p/b Cannondale, LottoNL Jumbo and the US-based pro continental squad United Health Care. With the new World Tour status, riders were keen to make a mark on the race. EF Drapac p/b Cannondale are the most notable squad using both Vision cockpits and wheels, while Lotto Jumbo and UHC had cockpits with Vision and FSA branding allowing riders to choose the best wheel or bar/stem combo to match the stage profile. With the race starting and finishing on the Oceanside waterfront along a 7-mile circuit, a backdrop of the Long Beach harbor on flat city avenues, the stage was set from the start to have a sprint finish. Fresh legs and inspirations gave ambitions for a breakaway to form and none other than Tanner Putt (UHC) and Andrei Kraslinikau (Holowesko-Citadal) struck out for gold and stayed away for 10 of the 12 laps with Putt taking the Most Combative rider award and jersey for the next day’s stage. Colombian sprinter Fernando Gaviria took the stage win. Stage 2 was to a showdown for the GC contenders with EF Drapac p/b rider Daniel Martinez and LottoNL Jumbo climber Antwan Tolhoek looking to make a mark for the race to the podium. The stage featured the Gibraltar Road climb for a mountain top finish- 2600 ft. elevation gain in 6.5 miles! At the 3km, the front group blew apart with Tolhoek and Martinez finishing 4th and 5th respectively at 30 seconds down on winner Egan Bernal of Team Sky. With the GC starting to take shape, the stage into Laguna Seca was to be one for the sprinters and a day of defensive riding by the teams looking after their leaders in the top-10. The race finish was to be upset by a duo breakaway who finished only 8 seconds ahead of fast charging group into the Sea Otter Classic venue, with Trek rider Toms Skujins taking the win. The top-10 GC remained virtually unchanged with Martinez and Tolhoek maintaining their positions. A rolling time trial around Morgan Hill would allow the GC riders to solidify their position and maybe put a time trial specialist on the stage podium. FSA/Vision was highly visible with EF Drapac p/b Cannondale having the most representation using both wheels and aerobars to “Win With The Wind”. Ultimately, EF-Drapac p/b Cannondale teammates Lawson Craddock and Dan Martinez along with Neilson Powless of LottoNL Jumbo, scored a top-10 on the day putting Martinez into 3rd for the overall with three stages remaining. Stage 5 was for the pure sprinters, taking in 2 intermediate sprints and a KOM in the 176.5km stage. Tanner Putt of UHC once again found himself in a 4-man breakaway that stayed out until approximately the 20km to go banner when it all came back together for a full group sprint finish. Gaviria took the stage with GC hopefuls all maintaining their positions. This put the eyes on the penultimate “Queen stage”; the following day to Lake Tahoe. This stage was the “Queen stage” featuring a heap of 16,000 feet of climbing and 4 KOM’s along a 196.5 km route. Vision athletes UHC’s Serghei Tvetcov, LottoNL Jumbo’s Floris De Tier, and Lawson Craddock of EF-Drapac stuck out into a break of nine riders who built up a 5-minute lead. 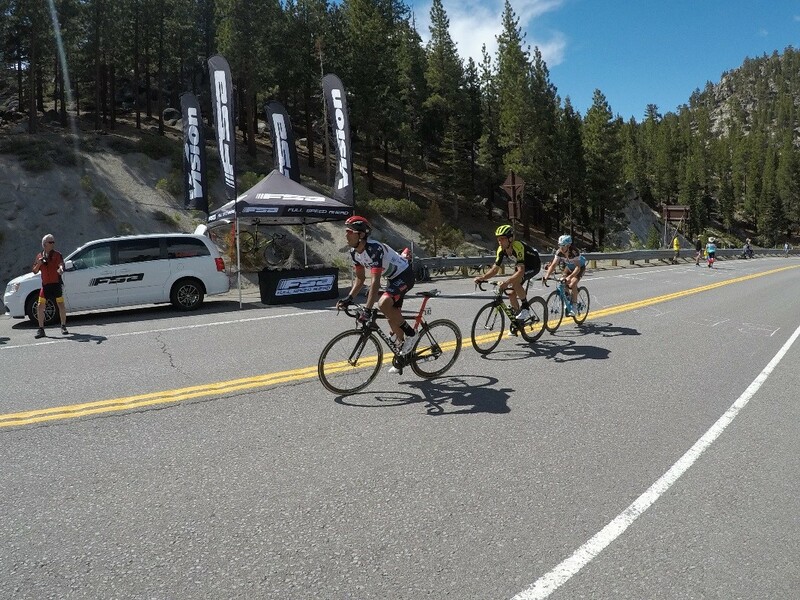 The break blew apart on the penultimate 12km Daggett Summit climb that brought the race up to Lake Tahoe with a 3,500ft climb. The main GC hunters were together until the 3km to go mark where eventual stage winner Egan Bernal struck out and soloed in. EF-Drapac climber Daniel Martinez finished 10th, 1:50 down on the stage winner to solidify his 3rd place podium. The final stage was more or less a promenade for the GC riders, but the sprint teams had an eye on the finish. 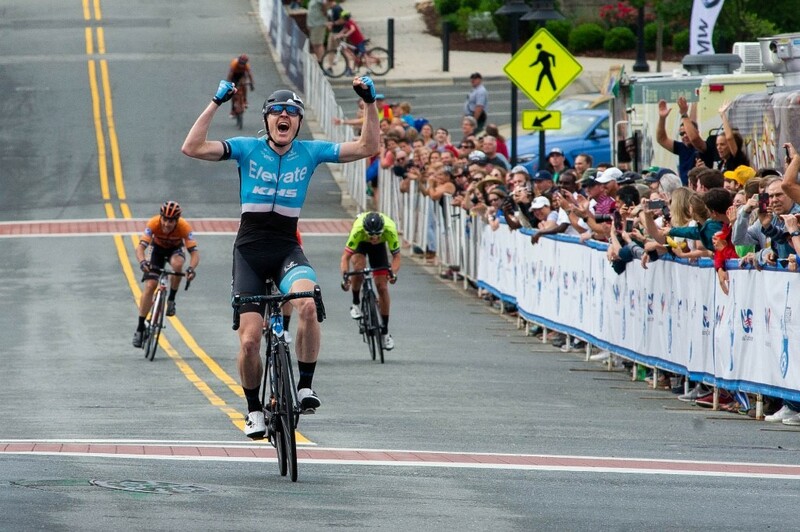 With the final podium all but sewn up, a breakaway formed in early part of the stage with LottoNL Jumbo rider Neilson Powless, who is also a local Sacramento native, and UHC rider Jonny Clarke finalizing a 4-man break that lasted until the final circuits around the State Capitol. Again, Fernando Gaviria took his 3rd stage win in this 2018 edition. Overall, Vision athletes left their mark on the race, taking a podium spot with EF-Drapac rider Daniel Martinez in 3rd overall, stage 1 Most Combative jersey to Tanner Putt and putting riders out into breakaways gaining valuable exposure. 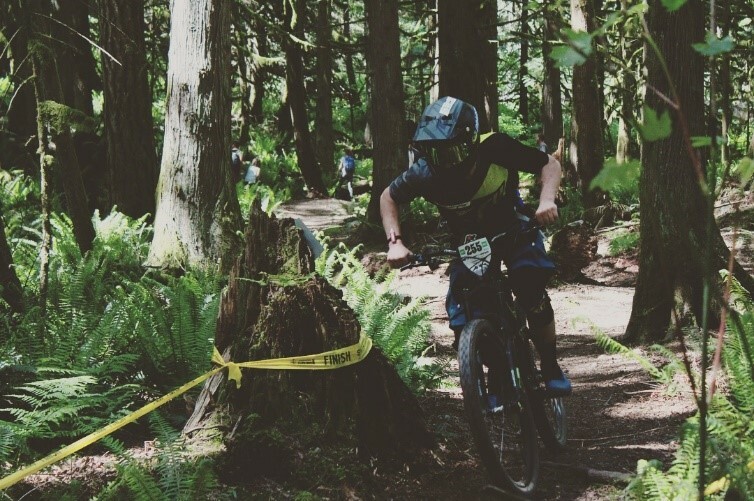 This can only be achieved with equipment that allows riders to maximize their efforts. This is what FSA and Vision provides: the service to equip riders with the wheels and cockpit components that give the ability to “Win With The Win”.